Wanting to know some great games to play with your dog to keep you both energetic and fit? 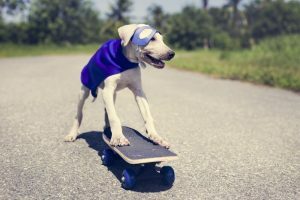 Nadia Crighton digs up a couple of great dog games to keep you both looking beach ready this summer. Remember with all of these dog games practice makes perfect. It’s also important to ace all of the ‘basic’ dog commands and remember to have fun. These can be done in a large backyard or down the beach or local off-leash dog park. Don’t forget your patience and treats! An oldie but a goodie. Plus it’s super easy to train your dog to fetch. Whether you dog is young or old you can teach them to successfully fetch. Start by rolling the ball a small distance from you and encourage your dog to “fetch it up”. Young dogs will naturally chase and pick the ball up. Then lots of encouragement to call them back (tapping your legs, big smiles), while repeating your word “fetch”. Once they come close, treat. A young dog will drop the ball once you offer the treat. Don’t forget your praises “good dog, good fetch”. Ask your dog to now ‘sit’ and repeat the process. Very quickly your dog will realize what you are asking of him and will start to successfully fetch the ball without any treats. If your older dog is not interested in picking up the ball you may need to encourage your dog to hold things in his/her mouth. Try some tug-o-war and then let go of the tug and encourage your dog to come to you with the rope. Ask them to ‘drop’ the rope with a treat. Then slowly start throwing the rope, then swap to a dog ball. Make fetch a work-out for you! Play it during a run at the beach (you can use a ball chucker for this so you get maximum distance). Can outrun your dog to the ball? With the advanced fetch (see below) both of you can run for the ball at the same time (sit, throw, stay… “FETCH IT UP”…RUN!). 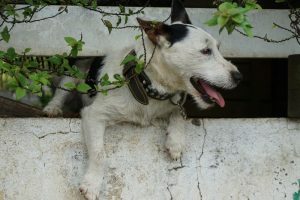 If you are in your backyard consider doing burpees (push-up, jump up, push up), squats or lunges, while you wait for your dog to return with the ball…how many can you do? So your dog is a fetch expert. Try changing it up a little don’t forget your pocket full of treats and a good brightly coloured ball. Get your dog to ‘sit’. 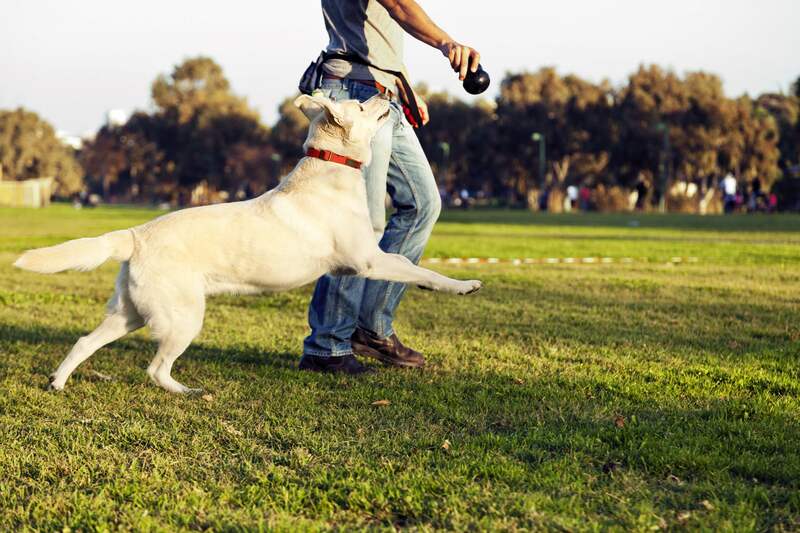 Practice by doing a pretend throw, if you dog bolts and ignores the ‘stay’ command consider using a leash. Throw the ball, treat your dog for ‘staying’. Then ‘fetch it up’ command. 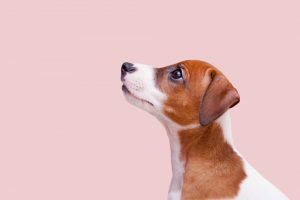 If your dog has mastered the basic dog training skills such as ‘sit’, ‘stay’, and ‘drop’ you can really change things up. Dog Apps can assist you with this. 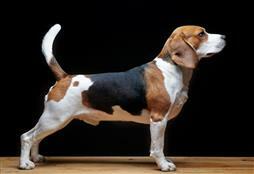 Have your dog follow you around and use the command ‘close’. You may need to use a leash for this until they have mastered following you (while walking next to you). Keep their attention with a treat held in your hand and treat the desired behaviour of being ‘close’. Treat for each desired behaviour. Continue walking again with your dog following ‘close’. Once your dog has mastered this instant behaviour and command you can speed it up a little and start jogging. Once you are both masters of this. Try working on your dogs ‘stay’ focus. Jogging around next to each other, throw a command (eg ‘sit’) then follow-up with a ‘stay’ command while you sprint a specific distance then back to the side of your dog. 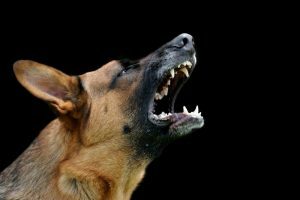 This is great to teach your dog a strong ‘stay’ command and will also get your blood pumping. Start a small distance (walking) and gradually build to a longer distance while sprinting. Don’t forget to treat and praise your dog! Keep it fun and entertaining. Finishing with a game of fetch or advanced fetch. Can’t get enough? Here’s more content on dog games and tricks!